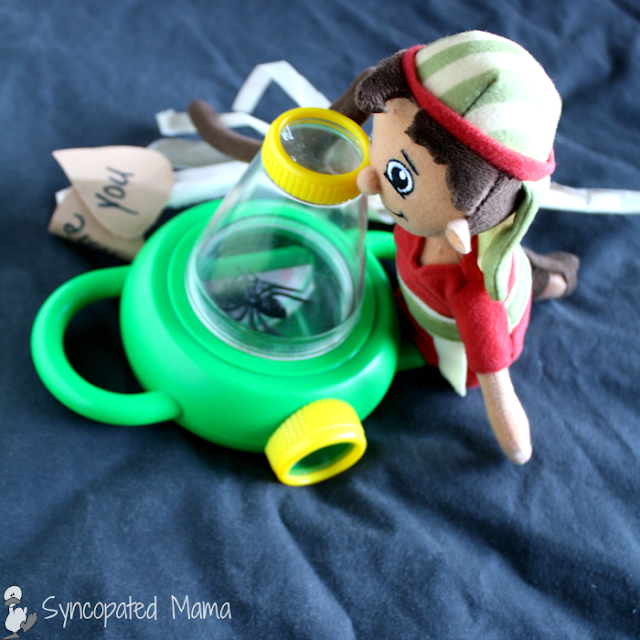 Syncopated Mama: The Shepherd on the Search's Amazing Journey Around the World! 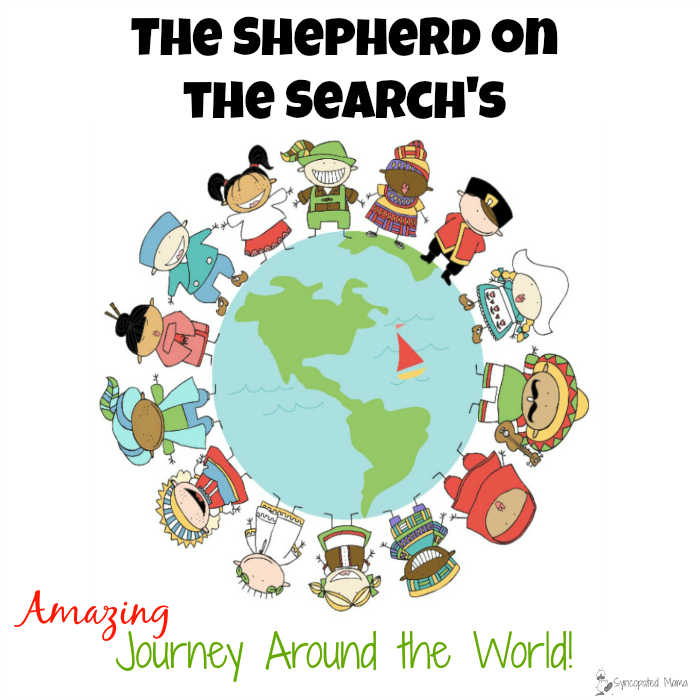 The Shepherd on the Search's Amazing Journey Around the World! 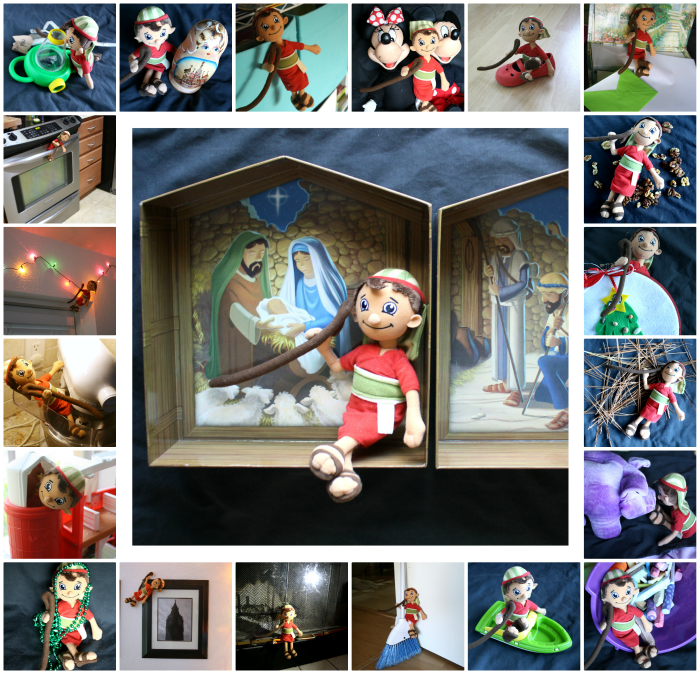 Looking for a way to keep the focus on Christ this Christmas, but still want all the fun build-up of something like the Elf on a Shelf phenomenon? 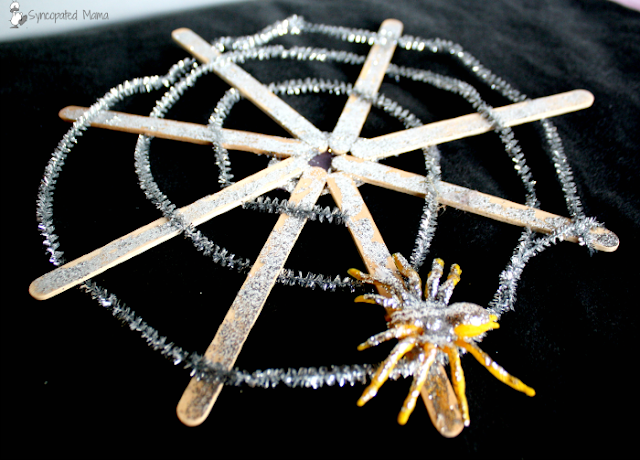 Then get your hands on these fabulous resources - you'll have the best of both worlds! 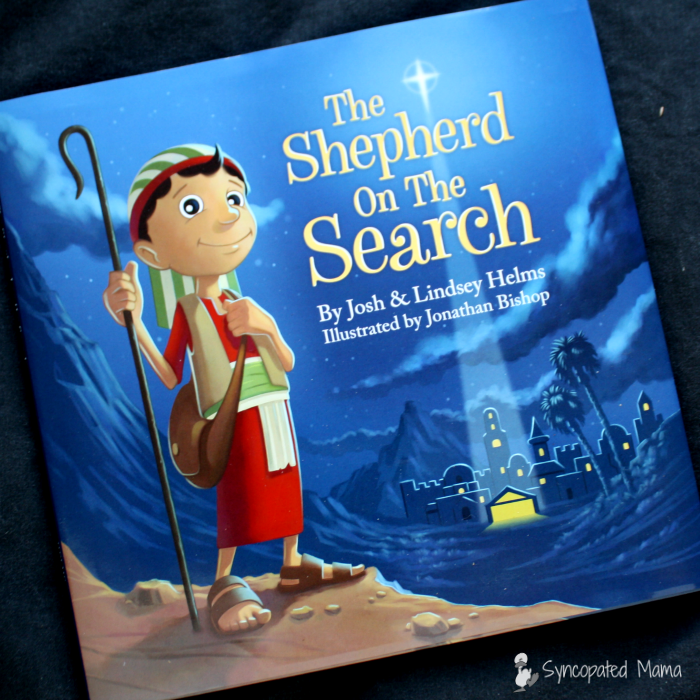 OhMyGoodness, I was super-excited when I wrote this post telling you all about the new Shepherd on the Search tradition I'd discovered, but now that we've been actually using him for days, I'm even more excited than ever! 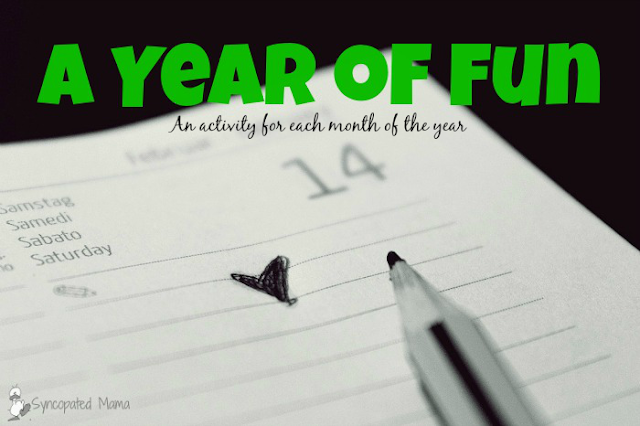 If you haven't read the background post, pop on over here and get up to speed, then come back to find out how "Hezzie" has been bringing extra faith-filled fun to our house this year! When our Shepherd kit first arrived, I knew I'd be incorporating our current Celebrating the Season Advent tradition in with his little trip, but as I contemplated what stops he could make around our house on his journey to find baby Jesus, I landed on another perfect tie-in idea. We're all big travel nuts around here (which is why our Passport to Fun trips have been so enjoyable) and I'd been wanting to introduce some of the Christmas Around the World ideas that I'd used back in my classroom to explore what all the different countries do during the holidays. Gv has also been enjoying her Little Passports materials, so I figured it would be fun to come up with another way to put those to use, too. 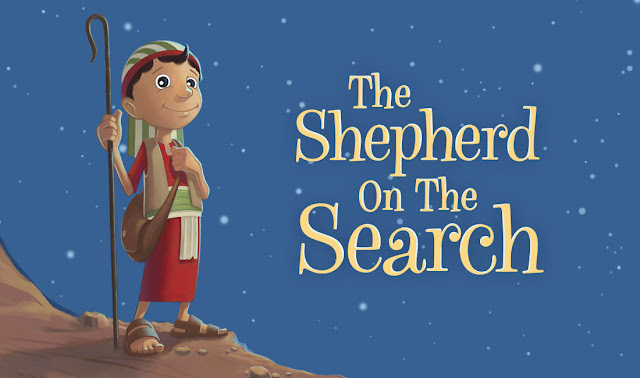 Our shepherd is not just traveling around our house on his journey to find baby Jesus this year - oh, no, our shepherd is traveling around the world and then sharing all the exciting things he's learning about the different Christmas celebrations with us each morning. The best part is, I've created a Shepherd on the Search Travel Kit for you - with pretty much everything you need to send your shepherd on his own little trek around the globe! Each day, our shepherd Hezzie (named after the Old Testament prophet, Hezekiah) pops up in a new location around our house that's related to the country he just visited. Once we locate him, he gives us our Celebrating the Season ornament for the day and a blank Travel Log sheet. This is the older-child version of the travel log sheet. 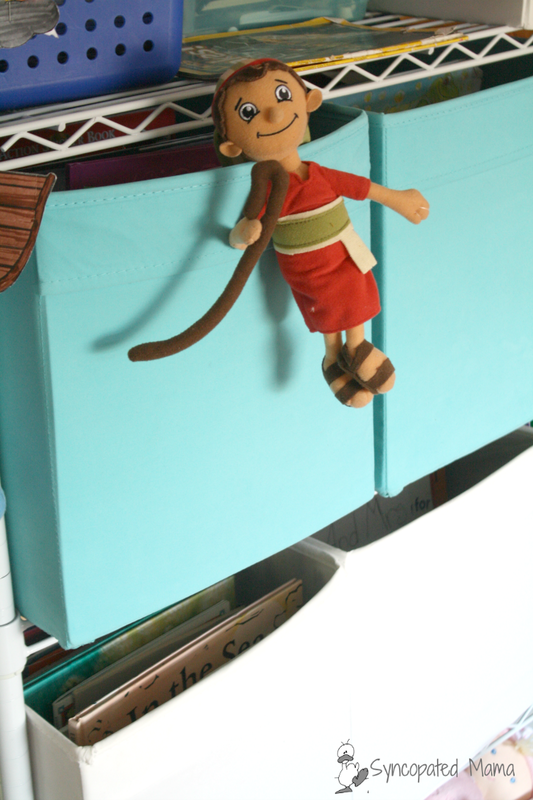 We then cart Hezzie off to the kitchen where we read the day's verses, pray, and guess what country he visited the previous night based on where we found him. 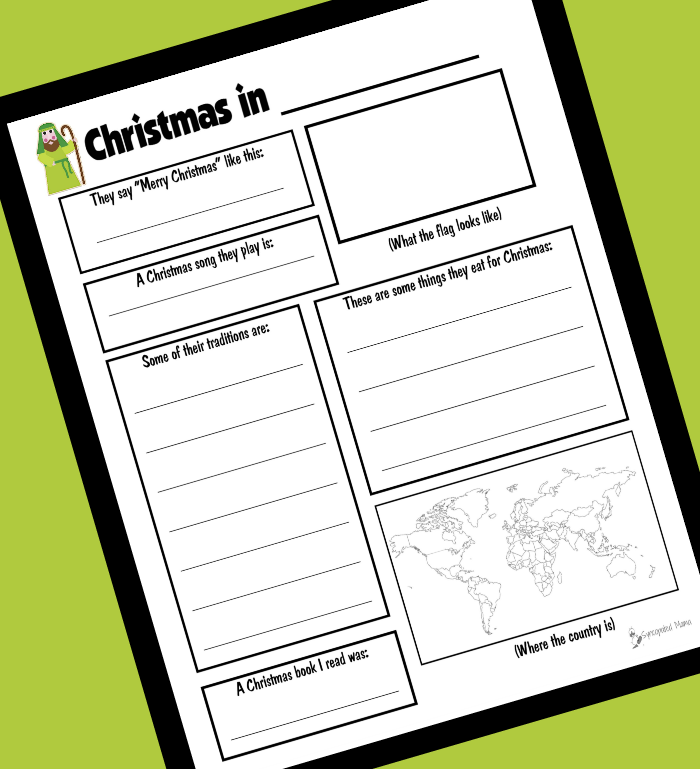 We head over to the computer, read all about the country of the day, practice saying "Merry Christmas" in that language, and fill out the Travel Log sheet while listening to that day's music playlist. After our little introduction to the country, we read the suggested book for the day and do our craft activity. 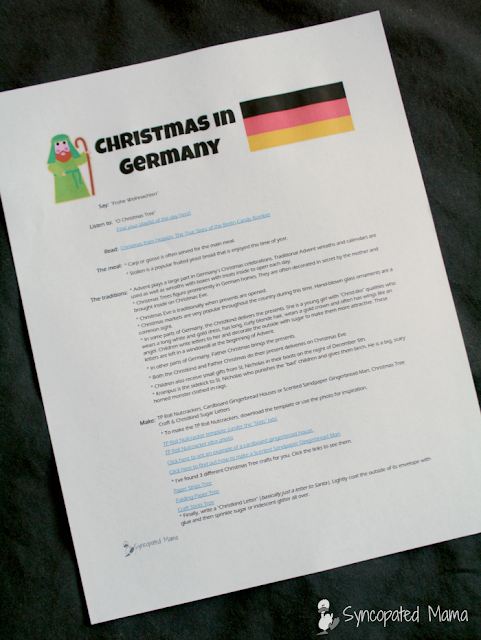 This ADVENTure begins on the first day of Advent for us, but you can easily join in anytime before Christmas. To get in on all the fun, you'll need a Shepherd Kit and my Shepherd Travel Kit. The first day you start, you'll greet your shepherd and then read his book together as a family. I love the rhyming verse used throughout this adorable book! 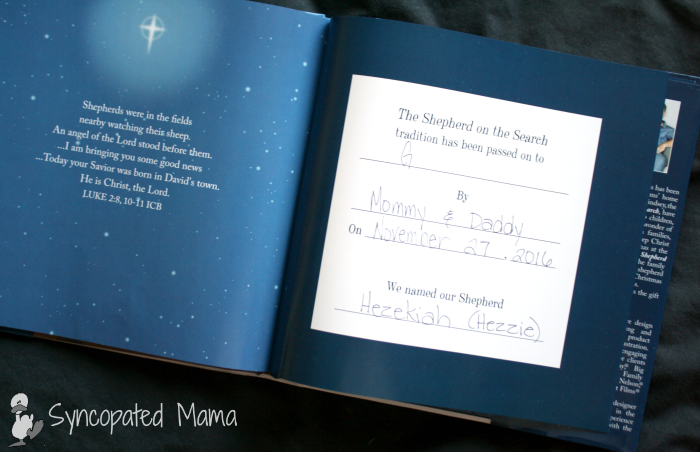 Next, it's time to name your shepherd - there's even a spot in the book to officially record it! 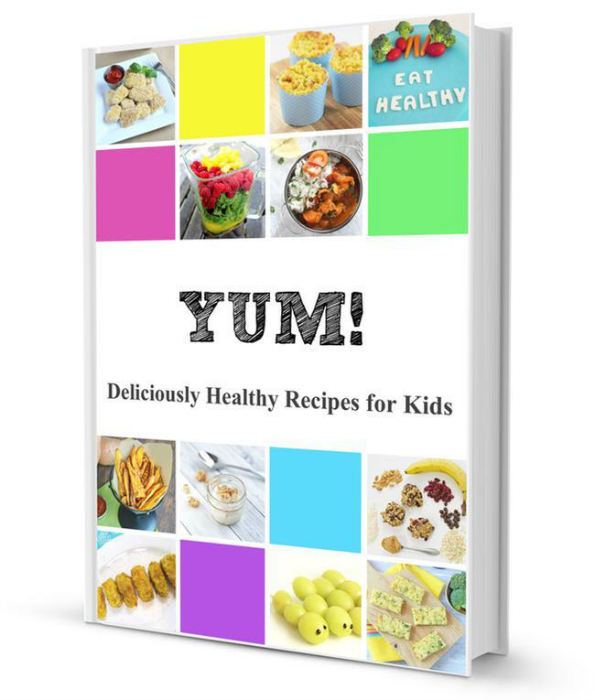 This would be a perfect gift book! I'd asked in my previous post if anyone had good suggestions for our shepherd's name and you, faithful readers, did not disappoint. Our favorite idea was to use a name from the Old Testament, and that's just what we did. We went with a name we've always thought sounded cool, but probably wouldn't ever make our list of baby name considerations: Hezekiah. They've really become good buds! 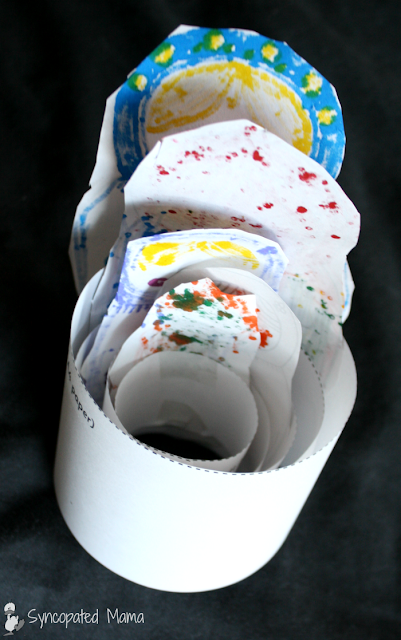 After we named our pal, we made a paper chain to count down the days until Christmas. Gv was excited to hang her chain up by herself in a spot she chose! We just used plain old copy paper to staple these links together, then hung them off of our kitchen counter so they'd be at the perfect level for Gv to enjoy. 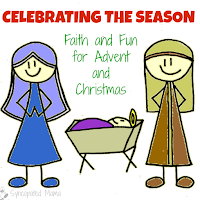 Finally, we read our Bible verses, placed our ornament for the day on the tree, and did all the other activities that are part of our Celebrating the Season Advent tradition. That was all for our first day, but don't feel like you have to do everything, every day. 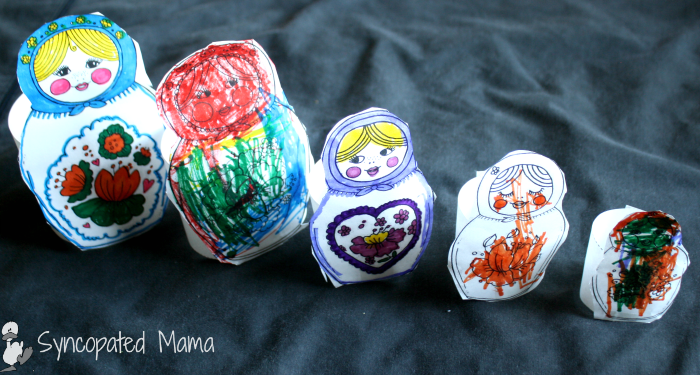 In fact, sometimes Advent lasts longer and sometimes it's shorter, so you'll definitely need to cut out a few days or activities from this plan some years. Once our first day of Advent drew to a close, it was time to prepare for the next day's ADVENTure. 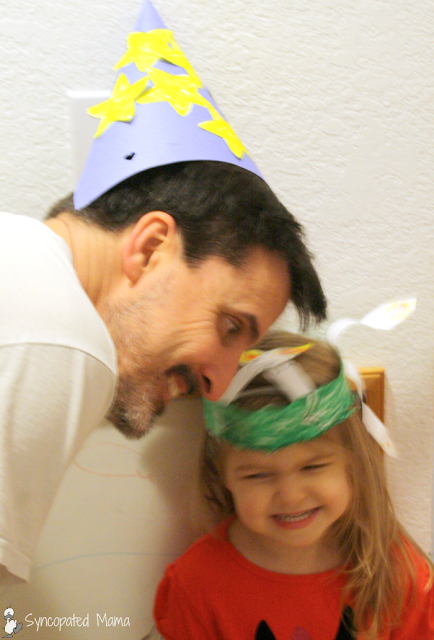 After Gv drifted off to dreamland Sunday night, I printed out the materials we'd need for the next day's activities. Then I set Hezzie up next to something around the house that was related to the first country he visited. The Travel Kit I've created for you takes your shepherd from his fields in the Middle East westward to circumnavigate the globe! That brown thing in the background is our wheat from this lesson, because the sheaves also figure in to Ukrainian Christmas festivities. Hezzie may have his arm around her, but don't worry, they're "just friends"! After Gv finds Hezzie's hiding spot each day, she brings him into the kitchen so we can get to work. Some of the spots we found Hezzie hanging out in each morning -- many were clues for which country he'd visited the night before! 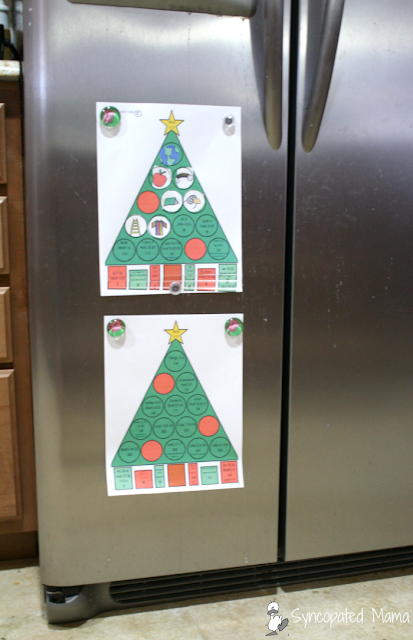 We've got our Celebrating the Season trees up on the refrigerator, so we just sit on the floor in front of it as we read our Bible for the day and add our ornament to the tree. At some point, I'm going to print all of these pieces out onto a magnet sheet, but I haven't yet because Gv enjoys cutting them out each day so much! 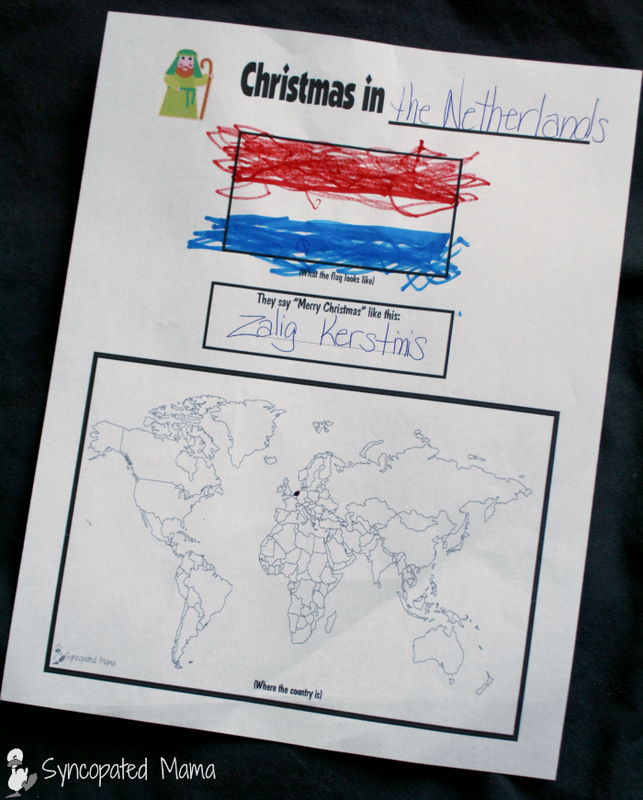 Then we head over to the computer to have Hezzie share his country info sheet with us. 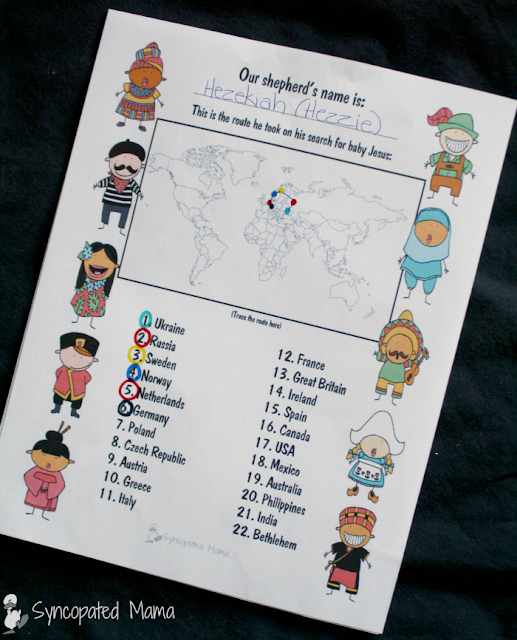 Print each country's page out to stick in your Shepherd's Travel Kit notebook, or just read them on your computer each day! Since Gv is still only 3, she fills out the simpler Travel Log pages, but the kit also includes more detailed pages for older kids, making this country study the perfect thing to keep an older child interested in the Shepherd on the Search fun! I circle the country's number in a specific color, then draw a matching-color dot on its location on the map. A line connects them all and will show the shepherd's continuous route around the world when we're done! Then Gv rips off a link in her countdown chain and we start the country's craft project, along with any of our other Advent activities. Star Boy and St. Lucia share some giggles. 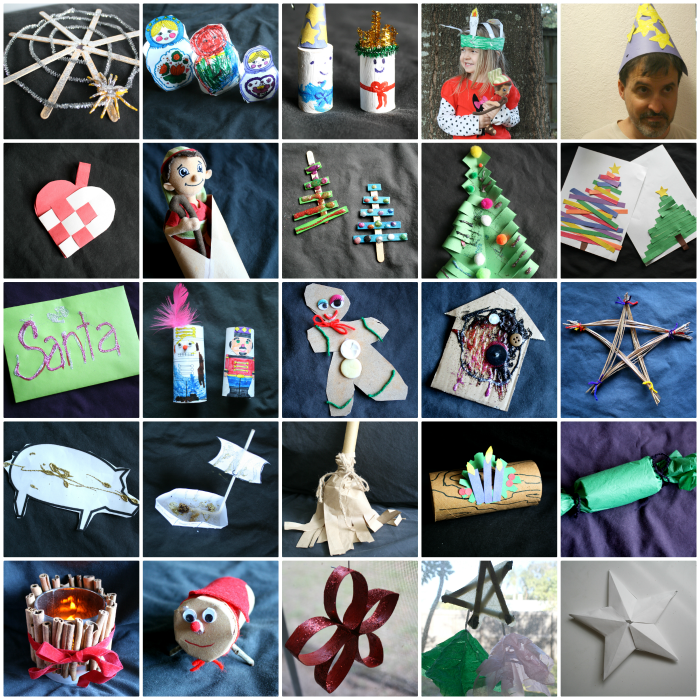 Examples of crafts from the rest of the journey. 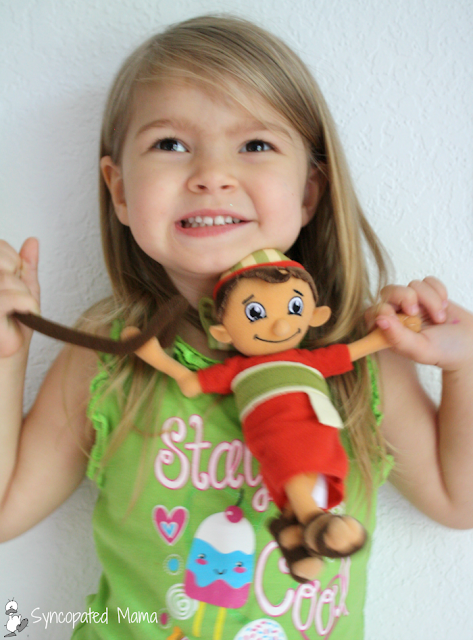 By the time Christmas rolls around, we'll feel like we traveled right along with Hezzie to see the world! And on Christmas morning, Hezzie will finally discover the manger (which is the box that he comes in!) under the tree among all the presents. As the gifts are opened, we can remember how Hezzie's long journey was so worth it, because he found the best gift of all: Jesus! 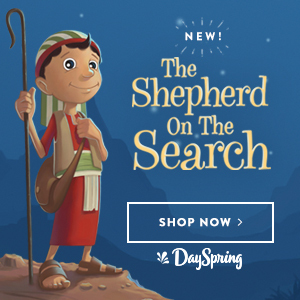 If you want to use this Travel Kit for your shepherd, click here to purchase it. 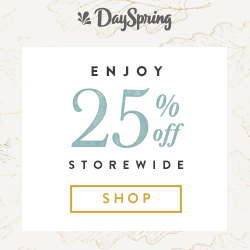 And just because I'm already in a holiday mood, I'm offering it to you for a discount! If you order before Christmas, then you'll not only nab your kit for the discounted price of $9.95, but I'll also send you free updates for life! You'd better hurry, because I'll be adding to this kit once our fun for the year ends and the price will go up to $14.95 when I do! Even if you're not ready to start the tradition this Christmas, you'll want to grab your kit at this price so you can be all set for next year! You might also want to grab the companion CD that I wrote about here to lend an additional musical touch to all of your fun. If you have a wee one at home or just want to keep things more low-key this year, then you might be all set to go with those tools. 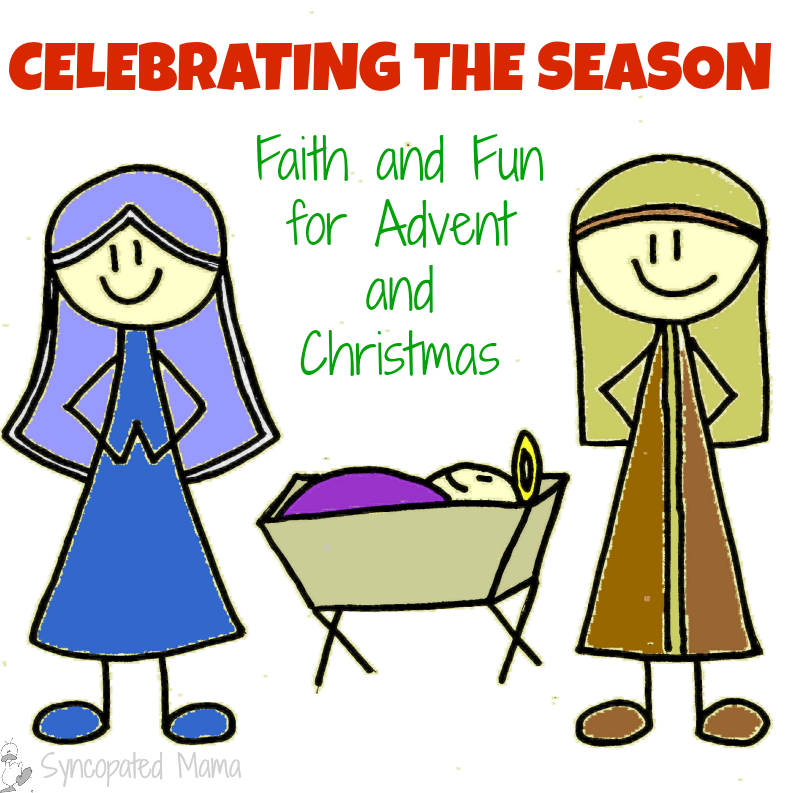 But you might want to also check out my Celebrating the Season series to see how we combine Christmas books, music, and movies along with faith for each day of Advent and Christmas. You'll find everything you need to fire up your old printer for free and get started. Whatever you decide to include in your tradition this year, keep in mind what Shepherd on the Search creator Josh Helms writes in his article "Santa and Jesus - is there room for both? ": that "it's your Christmas stew, and you're in charge of what ingredients you use." I hope you enjoy adding in a few of the ingredients I've shared here - and I'd love to hear what your "stew" looks like this year! 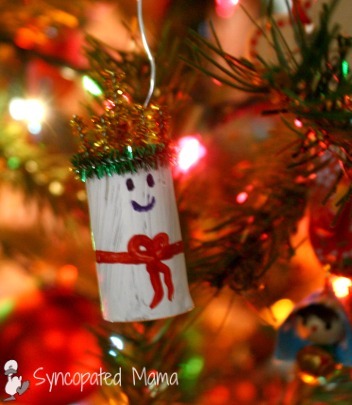 What are the Christmas traditions you most enjoy with your family? Are you as excited to add this one to your list we are? I'd love to hear! Either leave a comment below or email me at lisahealy (at) outlook (dot) com. 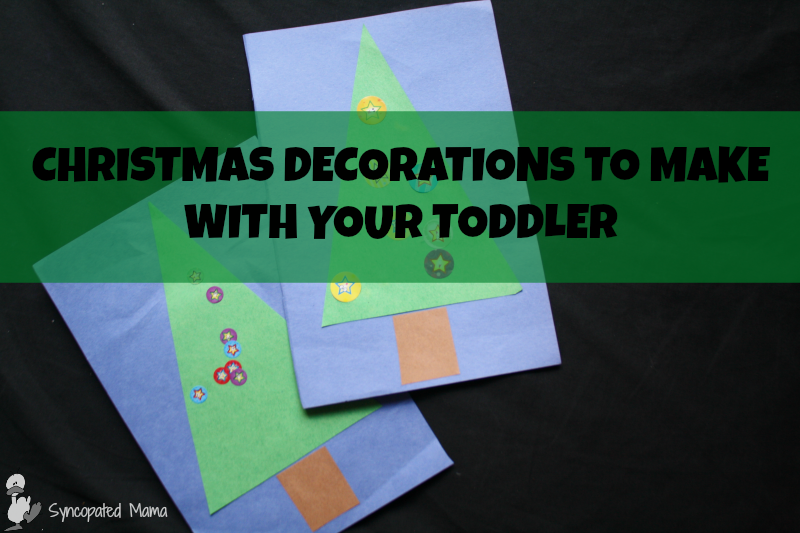 Looking for more about some of the ideas I shared in this post? Just click on over and check them out! 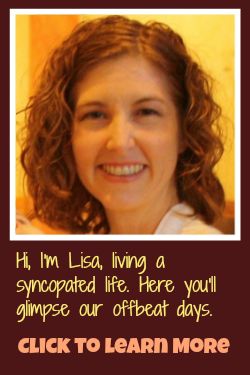 Lisa, you amaze me. 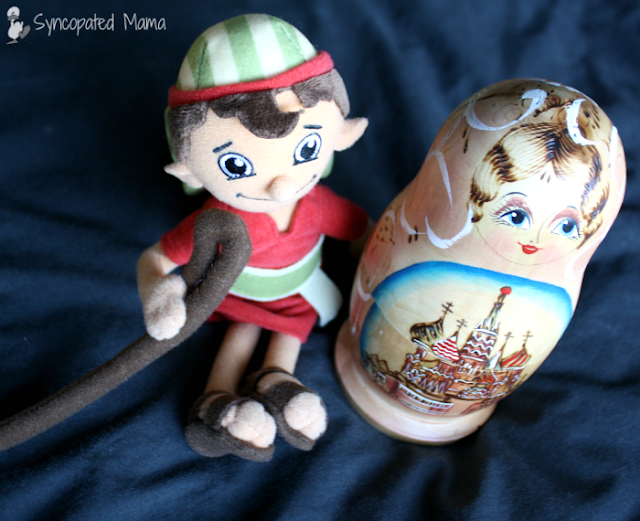 First of all I thought the shepherd on the move was the coolest thing ever, much better to me than the Elf on the Shelf. Then you go and make a travel kit that people can use with their own Shepherd on the Move. How cool is that? And how many hours in a day do you have? I am thinking you have far more than I do! And I don't even have a little one at home. How amazing is if I had a little one I would be snapping both of these up ASAP. What a wonderful way to teach your child about the true meaning of Christmas, the world, and all of the other traditions in other areas. So impressed. This sounds like a lot of fun. I'm sure the kids would enjoy it! Thanks for sharing at Funtastic Friday. Another one of a great series. Lisa if only this was available when my kids were little. Happy New Year to you and your family.